Cloud radio access network and the subsequent next-generation fronthaul interface are the key solutions for the upcoming 5G deployment. In both architectures, the baseband units (BBUs) are centralized, and remote radio units (RRUs) are separately allocated, where the BBUs and RRUs are connected through a fronthaul network with common public radio interface (CPRI) and its subsequent eCPRI. Today, a cost-effective fronthaul transport network is paramount for 5G deployment. In this paper, we proposed a comprehensive optical mobile fronthaul network (COMF) to meet the various fronthaul requirements. The COMF design has the features of low-cost high-speed transmission, bandwidth reduction, low link latency, high signal fidelity and flexible connection. 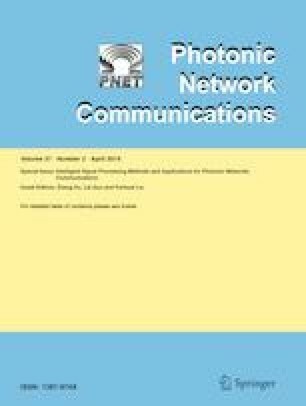 To support both the CPRI and eCPRI interfaces, several low-cost high-bitrate optical transmission techniques are comparatively studied. Meanwhile, time-division multiplexing-based analog radio over fiber solution is also discussed. Furthermore, to achieve flexible fronthaul delivering, optical switching technologies based on arrayed waveguide grating router and wavelength selective switch are presented, respectively. In the end, the novel strategies for low-delay resource management are investigated. The authors would like to thank Xin Miao, Yan Fu, Wei Wang, and for their technical information. This work was jointly supported by NSFC (61431009 and 61521062).